"Young people starting out in television sometimes say to me: 'I want to be you.' My stock reply is always: 'Then you have to take the whole package.'" And now, at last, the most important woman in the history of television journalism gives us that "whole package", in her inspiring and riveting memoir. 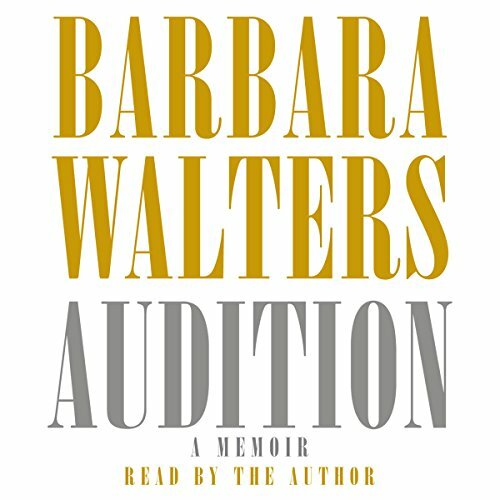 After more than 40 years of interviewing heads of state, world leaders, movie stars, criminals, murderers, inspirational figures, and celebrities of all kinds, Barbara Walters has turned her gift for examination onto herself to reveal the forces that shaped her extraordinary life. Barbara Walters's perception of the world was formed at a very early age. Her father, Lou Walters, was the owner and creative mind behind the legendary Latin Quarter nightclub, and it was his risk-taking lifestyle that made Barbara aware of the ups and downs that can occur when someone is willing to take great risks. The financial responsibility for her family, the fear, the love all played a large part in the choices she made as she grew up - the friendships she developed, the relationships she had, the marriages she tried to make work. Ultimately, thanks to her drive, combined with a decent amount of luck, she began a career in television. And what a career it has been! Against great odds, Barbara has made it to the top of a male-dominated industry. She has spent a lifetime auditioning, and this book, in some ways, is her final audition, as she fully opens up both her private and public lives. In doing so, she has given us a story that is heartbreaking and honest, surprising and fun, sometimes startling, and always fascinating. ©2008 Barbara Walters (P)2008 Random House, Inc.
Barbara and I are the same age. I found her book engrossing and very insightful as to her problems throughout her life. It was good to get to know her a little better and helps me to admire her even more. Good luck, Barbara - and keep smiling! Not a masterpiece, but enjoyable! I enjoy biographies and memoirs, and this one is not bad. Never a real fan of Ms. Walters, I have become one since reading this. Her candor is refreshing, and I came away with new respect for a woman who has shown such dignity and tenacity in her quest for success. Easy listening! Refreshingly honest without tawdry details of her personal life. Well narrated. An interesting insight to the way things were (and probably still are) for a woman to get ahead in this man's world. Thank you Barbara. I thought is was wonderful. I love Barbara Walters anyway. It was nice to listen to how she had to overcome so many battles to become who she is today. She paved the way for women today in her field. I have a sister that is mentally ill and I could understand her feelings about so many things that related to her sister. I love her show the "View". She continues to give us interviews we love. The only thing I found disappointing was that I do not think the whole book is on the audio because she talked on "The View" about her great love affair with a very influential black man and others, yet in the audio, there is nothing listed about any great affairs. I found the abridged version very disappointing. After all the publicity Barbara Walters garnered from talking about her affair with Edward Brooke, it was not even mentioned in this version. Too much of the book was a recital of her career successes.